When videogame fans get serious, they start petitions – an always-effective means of making a demand that always gets results. 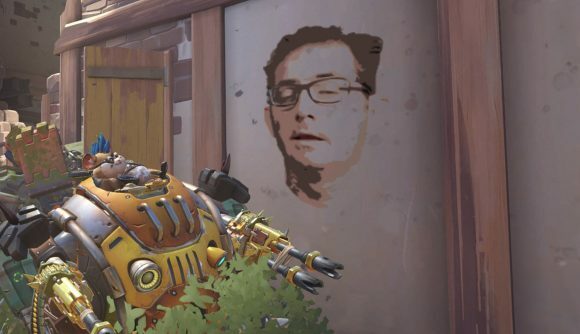 Overwatch fans have just started one such campaign, demanding that a spray of Jeff “from the Overwatch team” Kaplan be added to the game. The thread that spawned this now has over 4,000 upvotes on Reddit, and we’re reporting on it, so I think that makes it canon. We also need a voice line of that time Jeff said he was going to fix toxicity no matter “how many asses I have to spank.” (He didn’t actually say that.) I’d love something referencing the adjective supercut, too. Listen up, Blizzard. Overwatch fans will no longer stand for this – there just aren’t enough Jeff Kaplan memes.